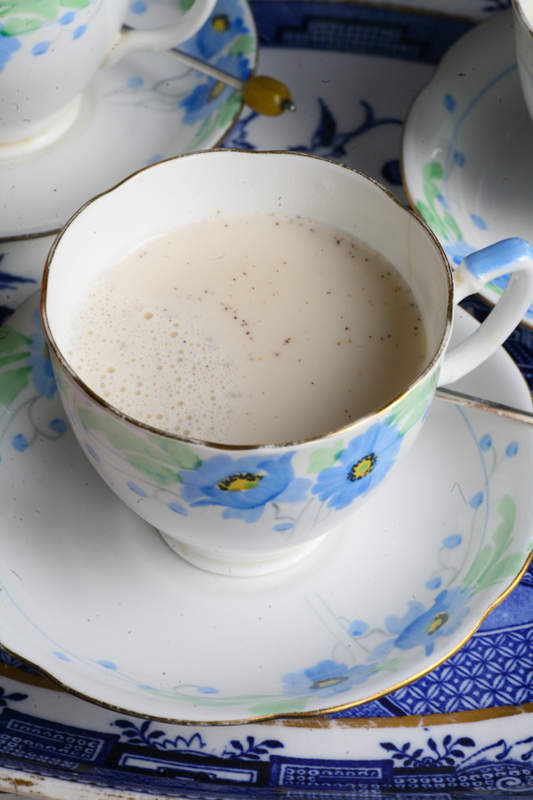 I have a new favourite hot beverage – milky chai masala – which I urge you all to try when it starts getting really cold, wet and windy. It may not win prizes for appearance, but what it lacks in looks it makes up for in taste. It’s the perfect drink when you’ve been out in the cold and need warming up on the inside. It requires a spice or coffee grinder – I use this one and really recommend it – maybe something for your Christmas list if you don’t have one. I was recently given this recipe from a friend who in turn received it from her Indian neighbour. Like Chinese whispers I have altered it slightly to suit my tastes but the finished result is equally pleasing. 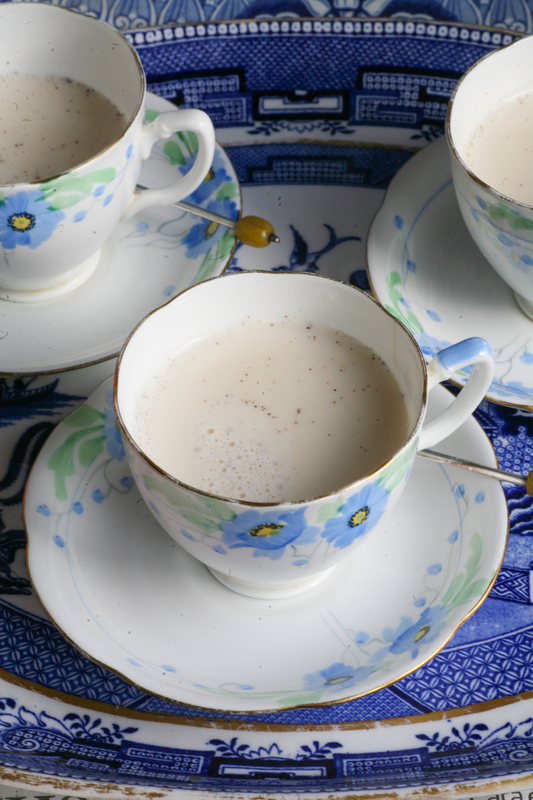 Wafts of black pepper, cloves, cardamom, cinnamon, ginger and nutmeg come together to form a warming and comforting hot beverage that is guaranteed to please. Give it a try and let me know what you think by commenting below. I look forward to hearing from you. 1. Grind the cinnamon stick and black pepper in your spice grinder and then add the green cardamom seeds but not the husks, cloves, ginger powder and freshly grated nutmeg. Blend until all the parts have taken on a powder appearance. 3. Gently heat the milk until it is boiling hot in a saucepan. 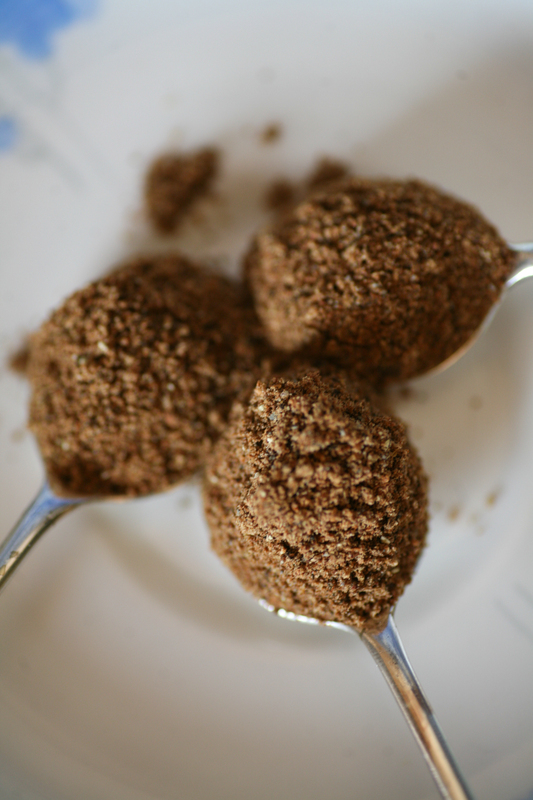 When it is hot add half a teaspoon of chai masala spice mix and sugar to taste and continue to heat for another couple of minutes so that the spices infuse. If you think it needs a little more spice then add a little more of the spice mix. 4. Strain into cups immediately. The milky spice taste is so comforting that you won’t be able to resist another cupful. This entry was posted in Drinks and tagged beverage, chai, chai masala, drink, Indian, masala, milk. Bookmark the permalink. Like the recipe …. but LOVE the tea cups. Sounds so tasty…! Love chai. Have bookmarked this for reference. I brought back chai mix from India and need to put it to use. How interesting! I was fully expecting tea leaves in this recipe and was surprised not to see any mentioned. 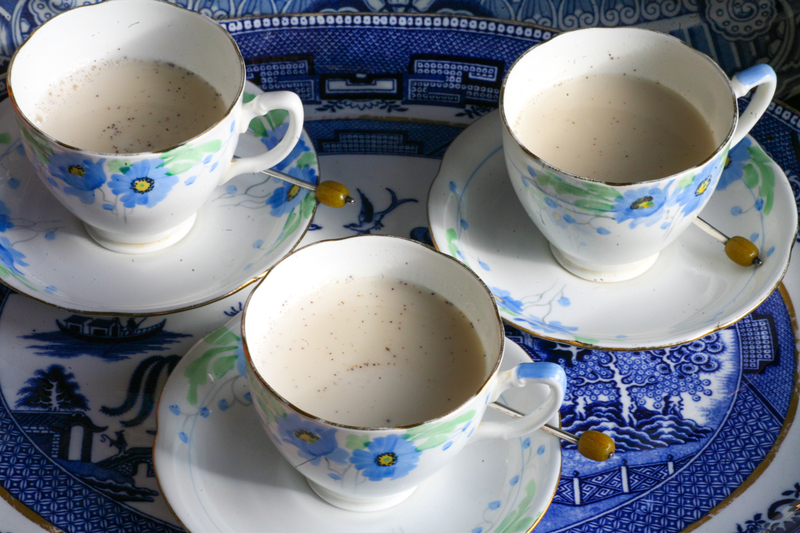 I’ve never thought of making chai this way – but it makes a lot of sense, especially for winter. I will give this a go!